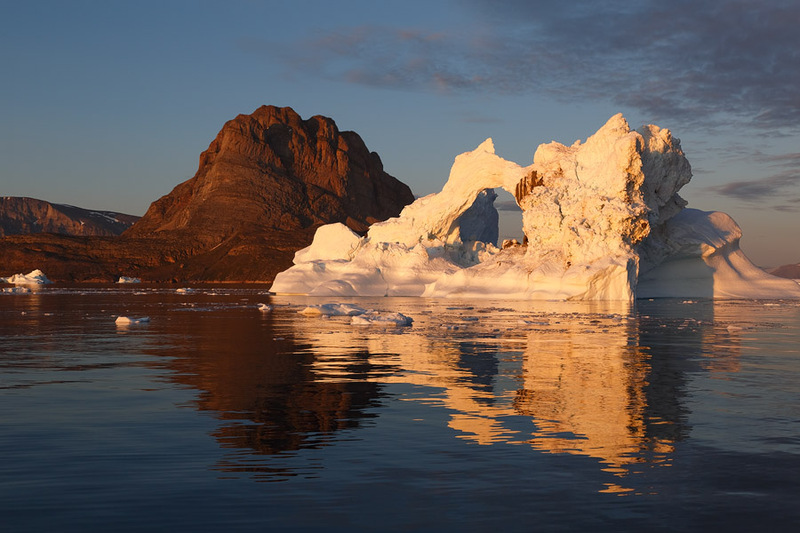 North of Disko Bay, in a serene fjord, stands the island of Uummannaq. 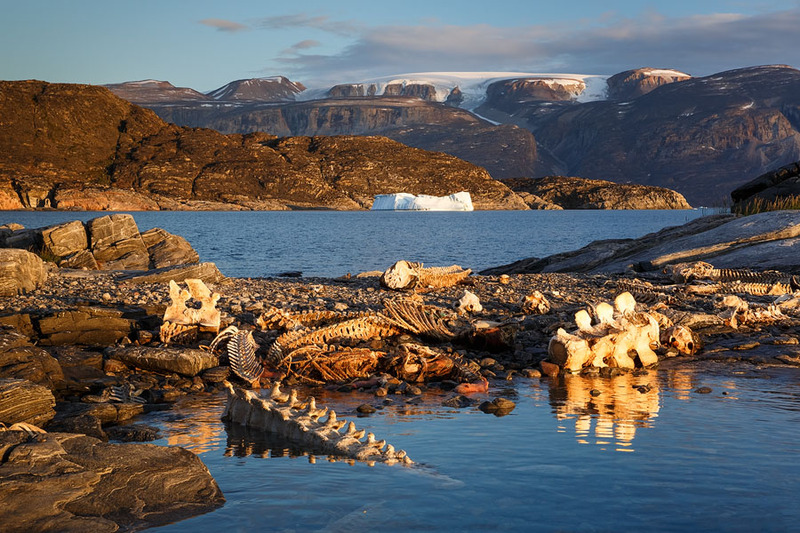 With its iconic, heart shaped peak, and surrounded by gigantic icebergs and towering mountains, Uummannaq is an incredible photographic destination. 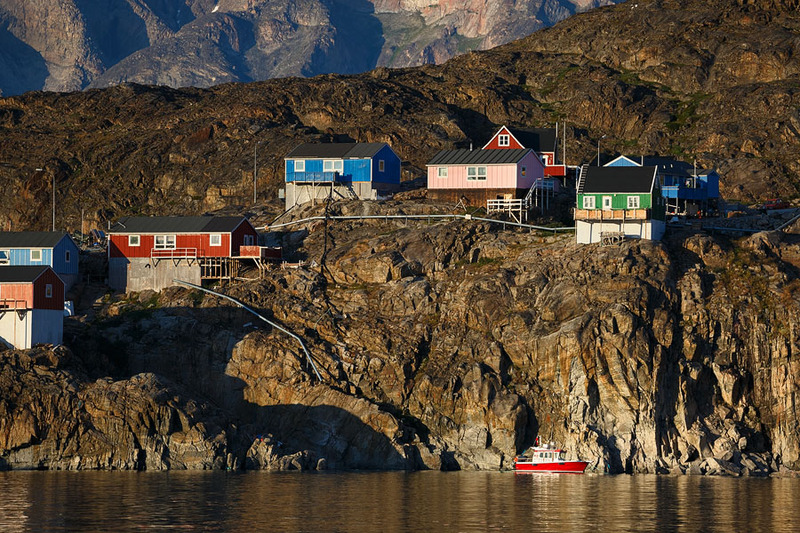 Far less-often visited than Ilulissat, this high Arctic community is a much truer representation of the Greenlandic lifestyle. This is a perfect short annex to the main 'Tales of Arctic Nights' workshop in Disko Bay. It will give you beautiful variety in atmosphere and subject matter, and result in many more images and experiences. The perfect extension to the main workshop: 4 days and 3 nights in an astounding location just an hour and a half away. Mesmerising landscapes of Uummannaq Fjord, gigantic icebergs, and the iconic, heart-shaped Mount Uummannaq. 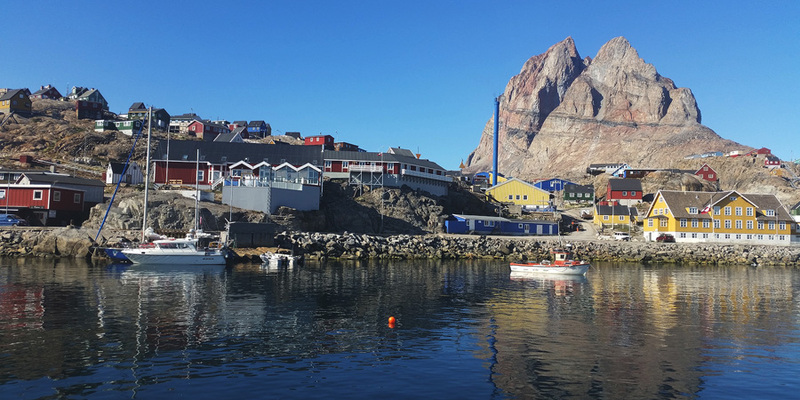 Visits to land locations and small Greenlandic settlements in Uummannaq Fjord. Perfect timing: Being situated north of Disko Bay, the time turns back and the first night of the workshop is yet again the first night the sun touches the horizon. This guarantees the best probability of magical midnight-sun light, allowing us to shoot for hours in optimal conditions. 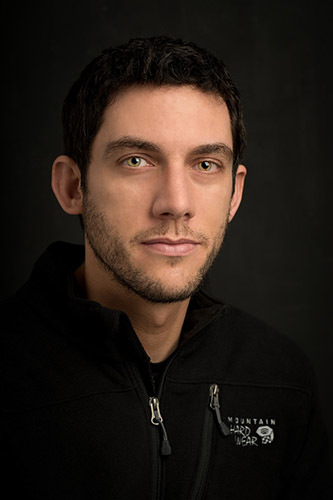 Professional photo guidance by an award-winning nature photographer. Comfortable accommodations smack in the center of town, local cuisine. Upon finishing the main 'Tales of Arctic Nights' workshop in Disko Bay, the annex participants will take a short flight to Uummannaq airport. We will settle in our hotel, have dinner in a nearby restaurant, and discuss the days ahead. After dinner we'll start our boat sail around Uummannaq Island. Uummannaq Fjord is a wonderful location for sailing. 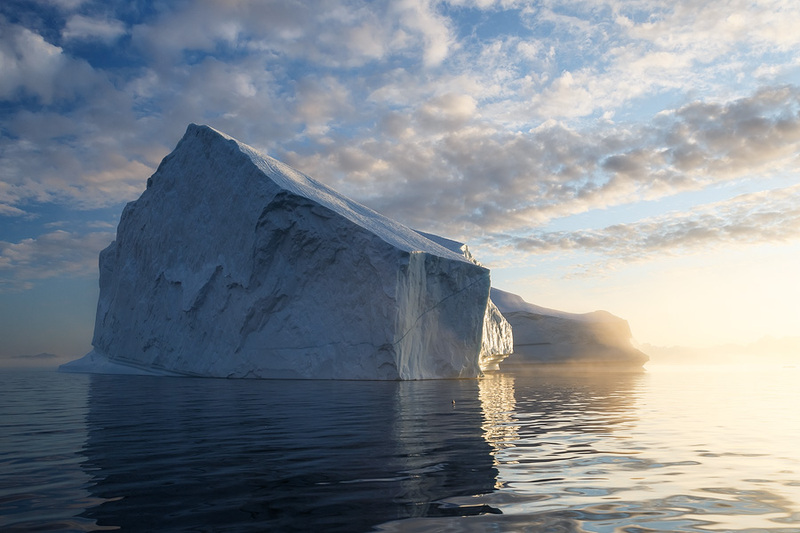 We'll sail around the fjord in a fast boat, shoot icebergs, whales and of course, the iconic mountain, under beautiful Arctic light. Once we finish shooting on the last morning, we will head back to the hotel, pack our belingings and drive to the airport for your flight back to Ilulissat. €3490 per person in superior double room for participants registering afterwards. Physical Difficulty: Beginner. Very basic mobility is needed for the boat sail where we'll spend most of the shooting time. We will do some easy hiking around the island, but you can refrain from that if you wish. Weather conditions are usually wonderful this time of year, and the fjord is remarkably still, meaning the risk of motion sickness is minimal (I personally suffer from motion sickness, but never had any nausea, even without pills). Temperatures will probably range between 0 and 10 degrees Centigrade. There are no mosquitoes in Uummannaq! Wccommodation in Uummannaq. Don't expect splendor, but the rooms are clean, warm and welcoming. No single room is possible, but the whole guesthouse is ours. 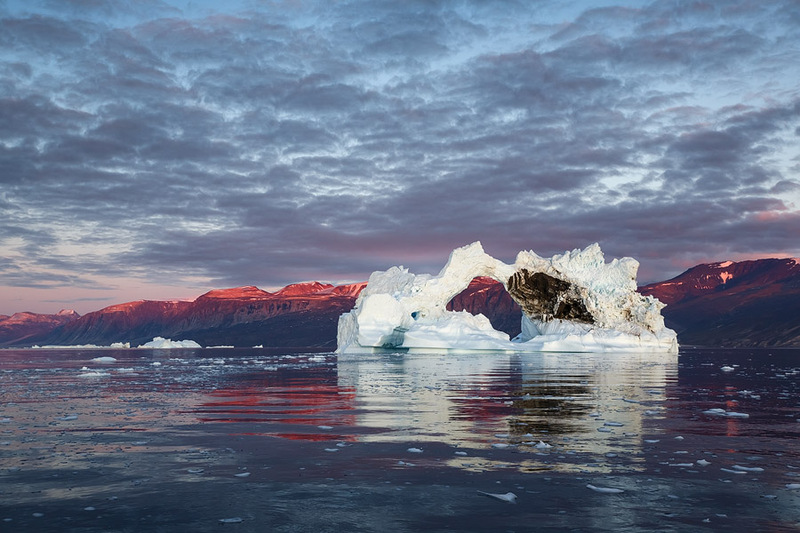 3 nights of boat sails, shooting icebergs and other landscapes in Uummannaq Fjord. Sails will usually range between 4 hours, covering sunset, sunrise and the Arctic night inbetween. Airfare from Ilulissat Airport (JAV) to Uummannaq Airport (UMD). It is highly recommended to book flights as early as possible to secure your spot on the flights. Please contact me for help. NOTE: I highly recommend bringing two camera bodies. It will make your life much easier when shooting with multiple lenses, which is often desired. Thermal socks. I recommend bringing at least 2 pairs. Pills against motion sickness, if you're especially prone to it. In order to secure your spot, you are required to transfer a deposit of €1790. This deposit will be refunded only in case the workshop gets cancelled for some reason. For your comfort, the deposit can be payed either through PayPal or via bank transfer (contact me for details). The tour plan above is subject to change. If weather conditions are unfavorable we might not be able to fulfil some of the planned activities. Space on the helicopters flying to Uummannaq Airport is limited. It is your responsibility to make sure you have a place on the flight. If you don't manage to get a spot on the helicopter, alternative transportation can be arranged from Qaarsut - please contact me for help.